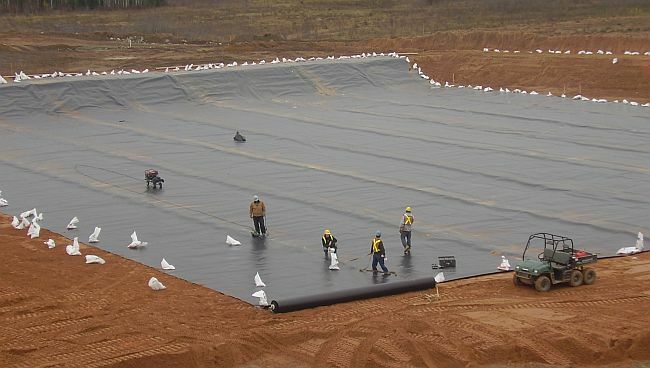 RAM Lining Systems Inc. is a trusted, authorized installer of Solmax high density polyethylene (HDPE) liner. 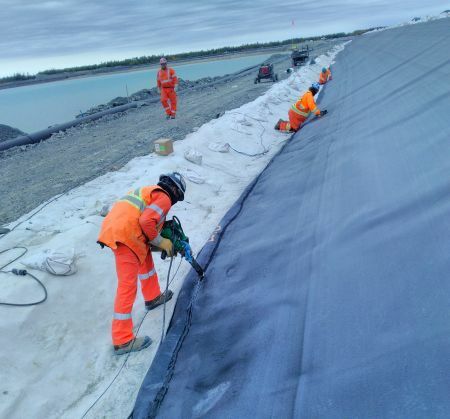 Our team consists of highly qualified technicians, project managers and master seamers, each with over 28 years of experience in construction and the Geosythetics Industry. 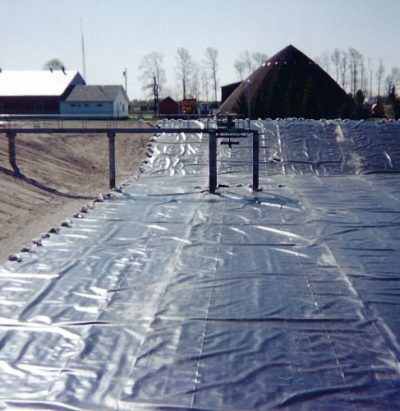 We have numerous high density polyethylene (HDPE) installations under our belt, with projects that includes the general containment of liquids and secondary containment of hazardous substances to avoid environmental pollution, as well as reservoirs and ornamental water containment systems. Our high-density polyethylene (HDPE) installations, including all supplies and a site specific installation of geomembranes use ‘state of the art’ double wedge seaming technology and extrusion welding. Our reputation for Quality Assurance is due to our team of master seamers, senior technicians, and project managers, who install and rigidly test all seams to ensure total integrity of the HDPE lining systems we install.The RAM Lining team is dedicated to providing quality service, expert workmanship and customer service that’s next to none. Please contact us for additional information.